Seen here is an example of a hand painted first shot for Jord Dusat. 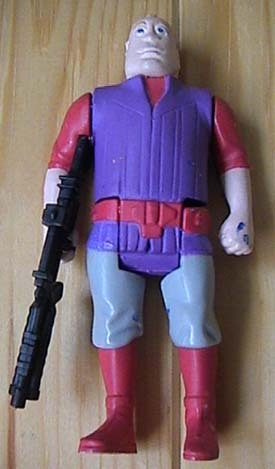 It is painted in the same color scheme as the production figure. The bottom of the feet confirm the fact that this was shot in production colors as opposed to being protomolded in white plastic. 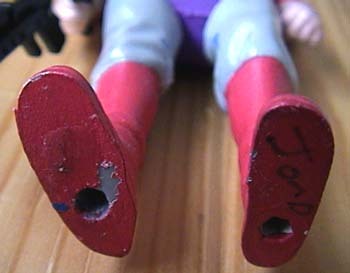 Also, the left foot has the word "Jord" written on it. Pieces such as this were typically used in photography or for other visual presentations.